Lovingly handcrafted from beginning to end, the Eyelet Dove Pendant design began with the inspiring minty colour of the Prasiolite, then fanned out like a dove’s wing, ready to take flight. Eyelet Dove measures almost 2 inches in length and 1.5 inches in width. The Prasiolite, otherwise known as green quartz, is a robust 7 carats. 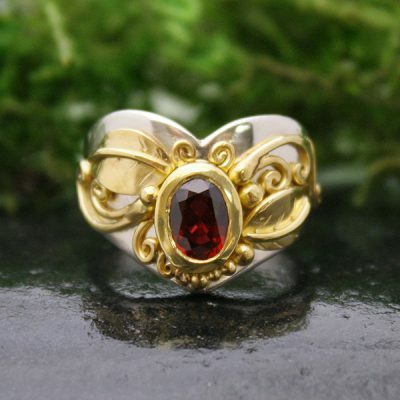 Sterling Silver with 22k gold accents dance around the stone. Sold with the sterling silver omega chain.